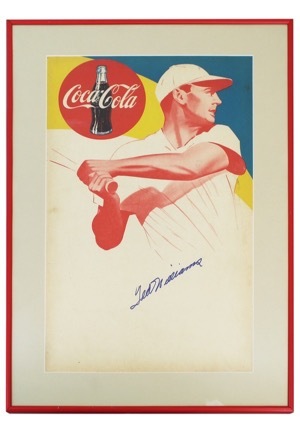 An approximate 18x26” reproduction Coca-Cola framed advertisement piece depicting Ted Williams swinging a bat. 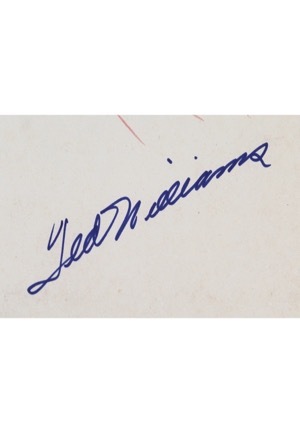 Williams signed the front of the piece in blue ink and in our opinion the signature rates a 9. Accompanied by a LOA from JSA and a PSA/DNA LOA.